Choosing the wrong date to have a sale in your area could be a costly decision. We analyze events and happenings in your area to determine the perfect date for the sale. Each item in your home is professionally tagged with a unique bar code. We arrange the items in a way that promotes their value. We will wire your total net proceeds of the sale, along with complete accounting and sales numbers, all within 5 days of the sale. WHAT IS THE AETHER DIFFERENCE? 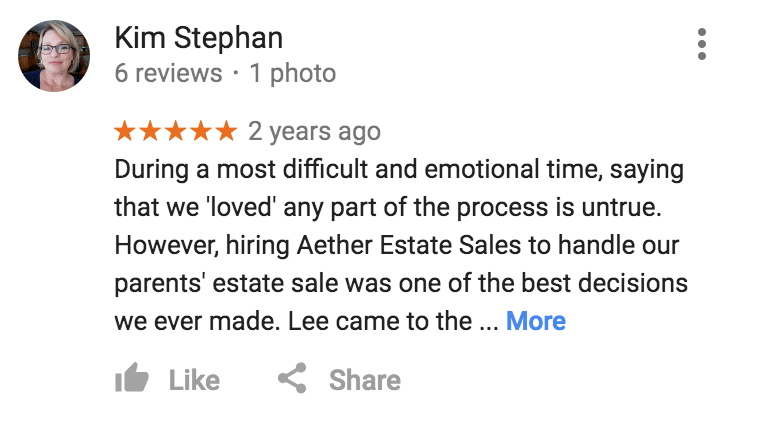 WHY CHOOSE AETHER ESTATE SALES? FIRST CLASS SERVICE IS OUR THING. We are known for under-promising and over-delivering with all of our clients - and we want to do the same for you. 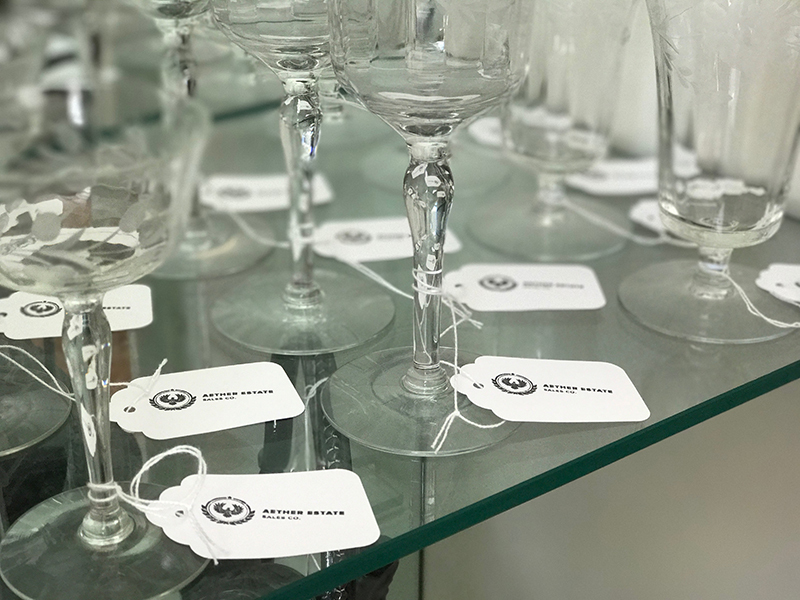 Because of our relationships with dealers, collectors and private parties, we're able to find buyers for all of your belongings. 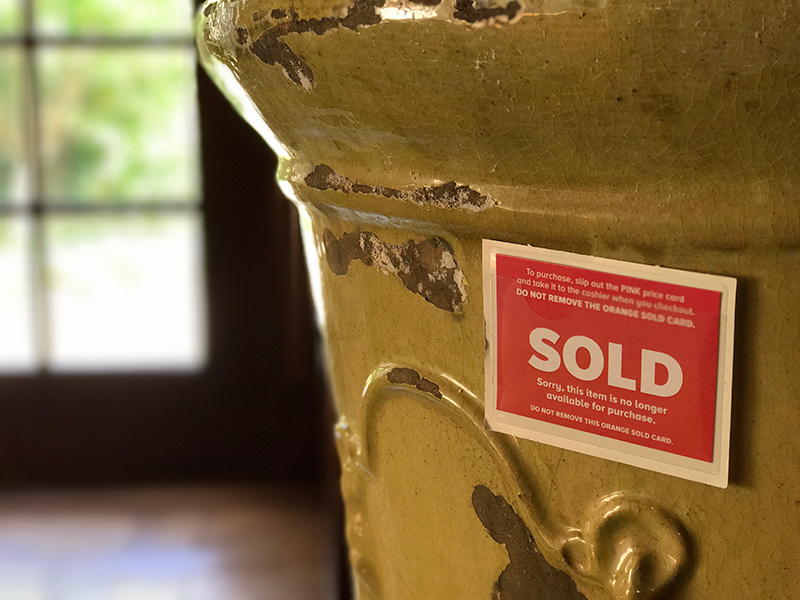 WHY IS AN ESTATE SALE BETTER THAN AN AUCTION? The days are gone where an auction company is your best source. Their services no longer provide the best opportunity to generate the most money. Plus, an auction company’s marketing is limited. As a result, attendance is usually minimal and your earning potential greatly reduced. In addition, an auction company won’t clean out an entire house – leaving a lot of clutter, work, stress and aggravation still up to the client. With Aether, we’ll use a variety of sources, beyond the auction house, to help maximize the return on the items that need liquidating. 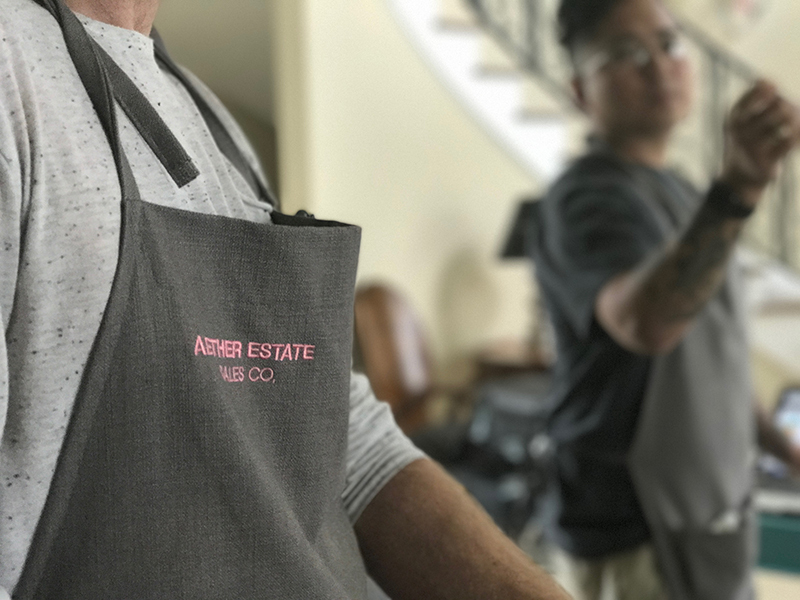 When it's time to sell, our staff can provide valuation estimates of the property suitable for sale at an Aether estate sale, along with an individually tailored sale plan that may include special marketing initiatives and terms of sale. For goods not suitable for sale with Aether, we maintain relationships with many third party alternatives affording you and your clients complete service for the liquidation of all personal property. Following the sale, you will be notified of the results and any further information. Throughout the sale process, you can be updated with regular reports to track the progress of the sale, and of course a member of our team will always be available to answer any questions.